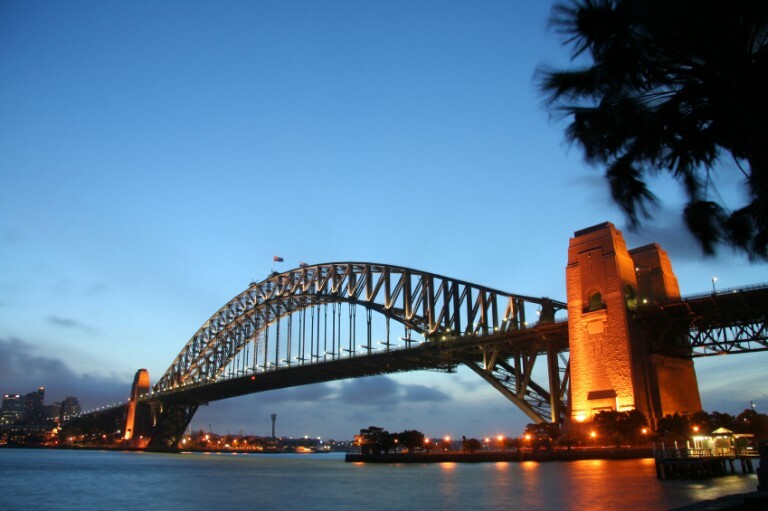 Sydney – Soak up the gorgeous Sydney Harbour. Take a ferry across the harbor to Manly. See the Natural beauty of Bondi Beach and the seductive waters of Coogee. Lose yourself in the rocks or in the Markets, cafes and pubs of Paddington. As well as a world-famous harbor and more than 70 sparkling beaches, Sydney offers fabulous food, festivals and 24 hour of fun. South Coast – Come see Kiama’s famous blow hole and take a dri ve on the famous Sea Cliff bridge, at Coalcliff, walk pearly white beaches and see dolphins frolic in sparkling waters in Jervis Bay. Meet grey Kangaroos and cruise the pristine Clyde River in Batemans Bay. Try awear-wining cheese at Bega and watch whales in Eden on the Sapphire Coast, near the Victorian border. The South Coast has 30 national parks, marine parks and reserves, as well as gorgeous beaches and rich Abriginal history for you to explore. Sydney Sorroundings – Taste the great wines in the Hunter valley, take a walk in the Blue Mountains and visit the Three Sisters, or stop and see the beautiful Hawkesbury River. Watch dolphins from Port Stephens and Forster and lose yourself in the world Heritage-listed wilderness of Barrington Tops. Escape to the hills, forest, valleys and heritage villages of the Southern Highlands. Surf on the Central Coast. North Coast – Spot the Humpback whales in Byron Bay. Come see Ballina and scuba dive off the Coffs Coast. In the Tweed Valley, you can fish the Tweed River and see the southern hemisphere’s biggest eroded volcanic crater. On the rainforest-fringed North Coast, classic Aussie surf culture mingles with World Heritage-listed national parks, Hinterland villages and great food and wines. Snowy Mountains – Hit Australia’s highest ski slopes at Charlotte Pass and climb Mt Kosciuszko, Australia’s tallest Peak. In winter, carve up the snow at fields such as Thredbo and Perisher Blue. In summer, take in the trout-filled streams and wildflower coasted plains going cylcling, caving, rafting, kayaking, four wheel driving, horse riding and hiking. Whatever the season, the Snowy Mountains has endless opportunities for outdoor adventure.